Mahoora, Sri Lanka's true pioneers in Tented Safari Camps and wildlife tours, comes under the umbrella of Eco Team (Pvt) Ltd's unique portfolio of products. From humble beginnings of a makeshift / mobile camping concept operating inside the main National Parks and Nature Reserves in Sri Lanka, Mahoora has strived towards a single overriding purpose; to conserve and preserve Sri Lanka’s wilderness and wildlife by creating life-changing journeys and inspiring positive action. To continue to be a local organisation with a global focus that facilitates world class tourism experiences and wilderness accommodation which are socially and environmentally responsible, embracing our motto to provide innovative and passionate service to our customers in a manner that is financially rewarding for our employees, communities and other stakeholders. As the pioneers of this field in Sri Lanka since its inception in 1998, our team is the most experienced. For us, this is not a job, it is a passion! Your enjoyment is our primary concern, and we will willingly go that extra mile for you. Being a group of award-winning, like-minded individuals with a true spirit for Nature and Adventure, we have a well of knowledge at our disposal. Through years of operating adventure and nature excursions, we know where all the exciting and unusual attractions are – something you won’t find on a brochure. “This 20th year marks a special milestone for us as we celebrate the reputation of our camps, our extraordinary staff, and strong relationships with guests and travel partners. We aim to continue to offer unique accommodation for travellers to enjoy some of Sri Lanka’s most incredible landscapes and environments in the knowledge that their stay also supports local communities and protects our ecological heritage.” – Anuruddha Bandara, Founder / CEO, Eco Team (Pvt) Ltd. 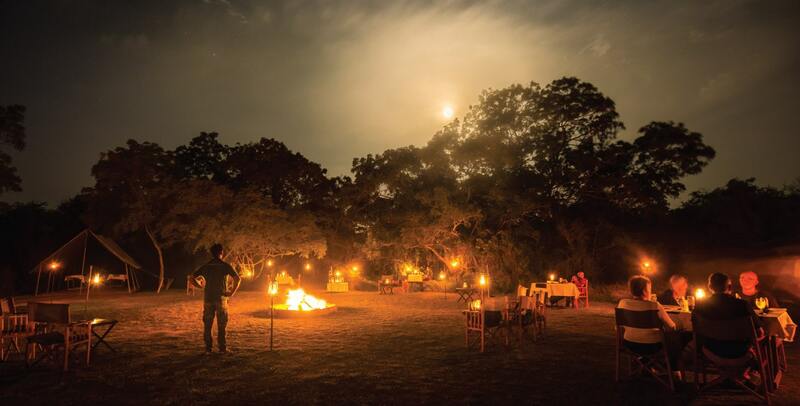 The Mahoora camps are designed to inspire and captivate clients with unique experiences out in the wild, while educating them on the inner workings of their natural surroundings. We have assembled an impressive team of dedicated resident naturalists and guides who are committed to providing visitors with the most unforgettable learning experience in the wilderness. With decades of experience and an undying passion for nature under their belts, they ensure that your brief spell in the arms of nature is both memorable and eye-opening. Every member of the team has lived and breathed Sri Lankan wildlife while armed with a degree or a diploma connected to the field. Their vast knowledge in all aspects of nature, and, more specifically, the locations you visit on our experiences, will ensure that you get enlightening information on the various exotic species of flora and fauna you encounter. 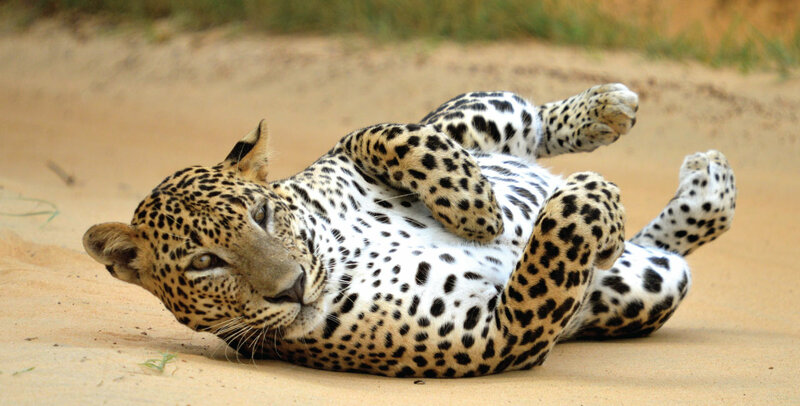 From the majestic leopards that roam the national parks to the endemic birds that flock to the sanctuaries, they’re experts on all things wild. Add to that their deep understanding of the history, culture and terrain of the areas you visit, and you have the complete package! 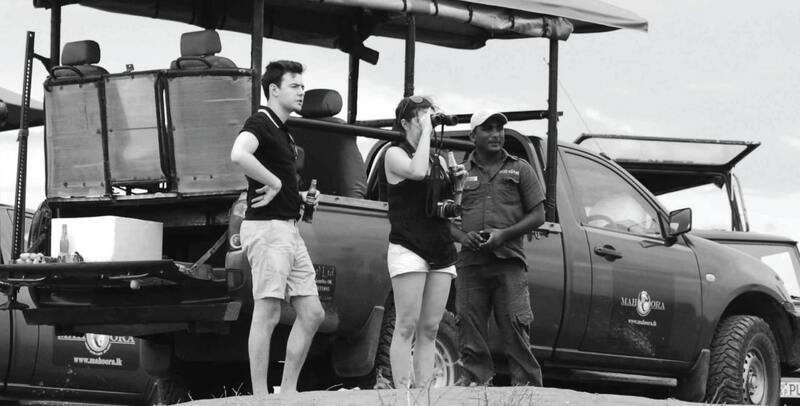 Our team of naturalists will ensure you see the best of Sri Lanka’s highlights, every time. What we have are incredibly passionate teams with a 6th sense, and what you get as a result is exceptional service and warm hospitality. Hailing from humble towns and villages in Sri Lanka, with a background of years in the hospitality industry, our teams work together to go that extra mile in making sure you’re not just comfortable, but happy. It’s all in paying attention to the little details; with our F&B Team making sure every dish is served at the ideal edible temperature, our GRM team ensuring a zero minute wait for your high tea and footbath post-safari, our Service Team understanding your personal schedule so room service for tents are made only when you step out, our Camp Managers discerning your preferred ratio of conversation to comfortable silence during mealtimes etc. Though, if you’re in the mood for a riveting story, each individual has a special backstory; from being shot at by poachers in an isolated part of the forest, to casually hiding from a leopard that in turn hid as well! So go ahead and ask our GRM Team, F&B Team, Camp Managers or newly appointed Camp Manageress, about their experiences over a glass of wine by the fire – you won’t be disappointed! The entire Mahoora Family is the embodiment of Mahoora’s reputation in unparalleled service quality, which is recognised as a benchmark in hospitality. We are the world’s first and only Carbon Neutral Safari Camp. We provide the most ethical and environmentally-friendly accommodation options in the country. Mahoora is a completely mobile safari camp option and thus gives clients a true safari camp experience. All luxuries we offer are in relation to the mobile camping concept. Mahoora has the largest pool of professional naturalists in the country. This allows us to guarantee that an exclusive naturalist can be provided for each group. We provide exclusivity so that our clients’ interests are safeguarded. Mahoora owns the largest pool of modified safari jeeps in the country. We guarantee an exclusive safari jeep for each group. These jeeps are specially modified with comfort and maximum game viewing / photographing opportunities in mind. We provide the largest tents. The Mahoora Elite Tent is the most spacious tent amongst other safari camp tents (including mobile and fixed tents) in the country. It has plenty of space and all amenities required for a very comfortable stay. We are the only safari camp that offers a high-end sit down meal service. We serve a five-course lunch and a seven-course dinner. Every meal is an experience on its own, with food being cooked in your presence. The menu is customised based on clients’ preferences with our own signature dishes. There are no buffets. Value Additions – Mahoora has a variety of value additions on offer to its guests at no additional cost. Local cooking lessons, cultural experiences with natives, night walks, night safaris, warm water foot therapy, kids’ activities etc. are all included in the price. 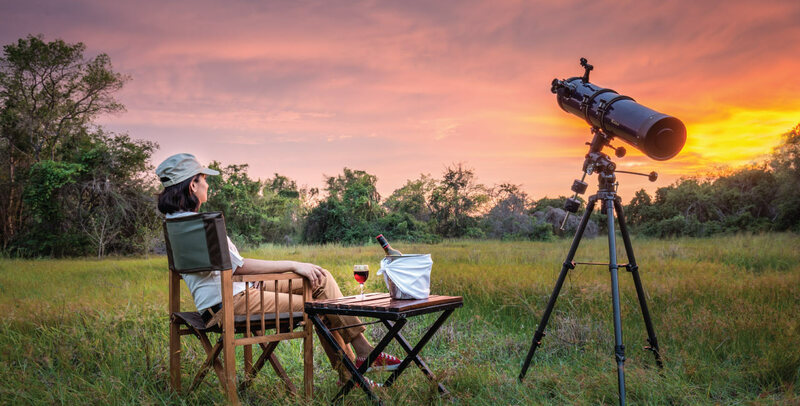 Locations – Mahoora campsites are located either in exclusive, mini private reserves bordering National Parks (in Yala / Udawalawe / Wilpattu) or inside National Parks and Nature Reserves. Price – Above everything else, Mahoora Tented Safari Camps provides a "best price guarantee". Once you experience Mahoora, you understand that, pound for pound, we provide the best value in the industry.